If you go on the sapphire website, you can download it for all of the AMD cards. Doesn´t show me Catalyst Version. Same for me, but the driver has the right build number so I really don't think that it matters. You can send the cards to me. I would be glad to free you of "this trash". Same here, is it just a typo or are the driver number BS?! Maybe Sapphire mistake a Beta as WHQL?! What a shame. The last AMD cards I had were 7850's in Xfire, it was a stutter fest. Got rid of them a long time ago for 2x EVGA GTX 670 FTW's and now I have 2x MSI GTX 770 Lightnings. The 670's went to my twin boys. The new R9 290's had me curious but reading your post confirms my biggest worry. Many Catalyst versions in the past had the same display ver problem, even after a clean OS installation. It's Catalyst verion, not driver. Probably a typo... but we will never know until it's official. I was really exaggerating a little in that post. Many games run much better than before (with nvidia) and perfectly, it is just some bugs in the drivers than I'm sure will be fixed later which are the problem. There is no microstuttering with crossfire that is perceptible to me - rather there is just a problem with vsync and crossfire on the hawaii cards at the moment which causes this stutter and audio distortion on anything past the 13.11 beta 9.2 driver, so it is obviously just a recently-introduced bug. This makes games with forced vsync like skyrim run crappily. Other games also have some problems like AC black flag, which nvidia obviously paid them to cripple on the AMD cards because there is no reason why it runs so much better on my 680s than these r9 290s. I also had many problems with NVIDIA drivers in the past though, as well as the fact that their cards simply have too little VRAM when playing at 1440P upwards. is broken for now I can`t comment on that! My SLI experieces where superb, with allmost zero problems, powerfull, flexible and reliable. With crossfire the most basic funtions often allready fail. But, the hardware is so great.. 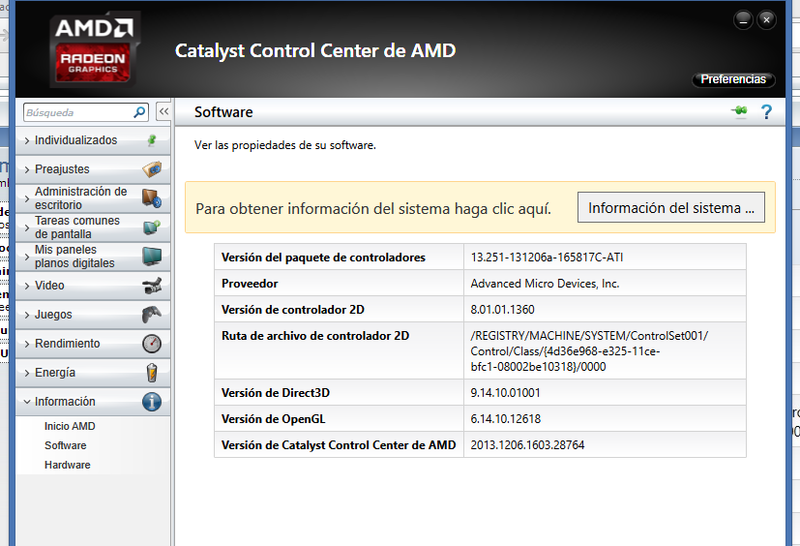 It's a shame these wonderfull GPU's are plaged by this incompetent software (forced AA what's that? ), really...such a shame..
We will know by looking at the driver size. Hold your horses with the Mantle nonsense. If it was ready, I am sure AMD would go big about it, and IT media woul be full of it. No crashes when using acceleration in browser or watching movie. Memory clocks also changing properly. So far they don`t stuck at max after using acceleration. Is this some sort of weird merge thread? When reading the thread, page one indicates this is the Dec. 6 false alarm we already know about. When viewing the thread title from the general forum, the titles of the threads reads correctly with Dec. 18. EDIT: confirmed, this is some sort of botched merge thread. This is a WHQL package, so the driver is supposed to be much older vs the release/leaked date. The Mantle driver is probably going to be a Beta, just so they can get the most updated stuff out there without waiting for Microsoft's certification. I have a Second GPU 99% bug with these(Battlefield 4). I did complete driver cleanup twice. Nothing helped. Back To 13.11 9.5. From my understanding disabling ULPS will fix this, it has in my case. It seems like every new driver will have the second GPU 99% issue every few restarts on my system, regardless of how I wipe the previous drivers (DDU, etc.). There are a few different free and easy to use programs on the internet to disable ULPS. I disable ULPS every time I install a new driver now. Try using one of them, it should solve your problem. I used to be die hard nvidia, until I could no longer update drivers for my 460. Every new driver caused crashes and freezes, and battlefield 4 wouldn't work without the new drivers. Im not talking about things being broke for a month, this went on for months before I just gave up. I've had issues with amd drivers before, but they were game specific... nvidia drivers completely broke my PC. Now with my 7950 everything works pretty damn smoothly, kudos to amd for finally fixing frame latency issues that kept me away in the past.